I trust this has been a blessed weekend for you all. We have just finished a wonderful week at our West Africa Sub-regional Conference. This was hosted here in Ghana with thirteen nations represented. On Saturday, June 18th, we celebrated our fourteenth annual graduation ceremony for African Centre for Theological Studies. Over 700 attended as we rejoiced with our eight graduates. Below is a link we thought you might enjoy. It is a presentation that was made during our graduation ceremony by A.I.M. worker Tyler Bryant. 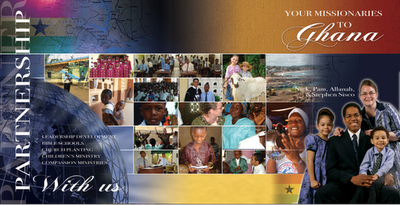 We appreciate your world vision and all you do to help us make a difference in Ghana and beyond. In the month of May, we had our first ever National Ladies Convention in the city of Zaragoza. Ladies from all over Spain traveled to receive a blessing. We were privileged to have Sister Jessica Marquez, missionary to the Dominican Republic, come and speak during this great event. There were over 700 ladies that attended with many receiving the Holy Ghost during this two day meeting. The Lord is blessing the church here in Barcelona. Most Sundays we have been averaging over 350, but this past month we had a record Sunday with 445 in attendance. 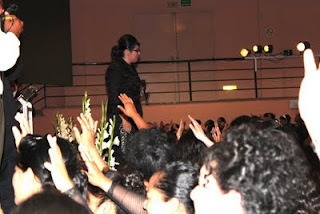 We have also had over 40 receive the Holy Ghost so far this year at "Los Pentecostales de Barcelona." God is bringing the increase! We are in the process of looking at several buildings for our new church. Please pray that God would give us favor in obtaining all city permits that we are required to have. During Pentecost weekend, at two locations, forty-one received the Holy Spirit. On Pentecost Sunday, six received the baptism of the Holy Spirit. Six received the Holy Spirit, six were baptized in Jesus' name, and three reported healing by the power of God. A pastor who was recently baptized in Jesus' name received the Holy Spirit on Pentecost Sunday. During the weekend of Pentecost, two were baptized in Jesus' name and five received the Holy Spirit. A total of 191 received the Holy Spirit, and 128 were baptized in Jesus' name. One preaching point was started. A total of 119 were baptized in Jesus' name, and eighty-seven received the Holy Spirit. Two preaching points were opened. During regular services, 110 were baptized in Jesus' name and seventy-three received the baptism of the Holy Spirit. A new church was dedicated with over 200 in attendance. Two new non-UPC Bible school students were baptized in Jesus' name. One pastor baptized five in Jesus' name. During the weekend of Pentecost, at the eight locations reporting, sixty-one received the Holy Spirit and fifteen were baptized in Jesus' name. One was also delivered. In six regions, a total of 269 received the baptism of the Holy Spirit and 135 were baptized in Jesus' name. Three churches have bought land and are building new buildings. A presbyter and pastor prayed for a woman who was demon possessed and living in a cave. She was delivered and returned to her family full of the Holy Spirit and baptized in Jesus' name. Her family was also saved. A village experienced revival when two demonic women involved in witchcraft were delivered and restored to their families. A seventeen year old girl was attending church and being sought by her uncle to be a sacrifice for witchcraft. They had already prepared her funeral and grave, but she received the Holy Spirit and was baptized in Jesus' name during a prayer meeting. Recently over 1,000 ladies attended special services and eight received the Holy Spirit. We’ve been back in Scotland for nearly 2 months now and we’re ﬁnally settled into our ﬂat in Glasgow. Thank you to the Kelleys for providing us with a place to stay and their hospitality while we were looking for our home. After a long road of travel in North America (over 25,000 miles this trip) we have a wee place of our own at last! As I’ve mentioned in the past, Jenny and I are starting a wor k in the West End of the city of Glasgow. In a city of around 2,000,000 in the amalgamated area, it desperately needs another Church. The West End has been, by and large, unreached up to this point. It is a section of the city with a culture and history all its own. This section of Glasgow is ﬁlled with folks from all over the world due to immigration, but also due to the large numbers of University students that walk the streets. Who knew that going to Glasgow you could literally “go into all the world?” Well, at least a lot of it. We’ve seen God open doors for us in the way of the ﬂat that we have moved into, which we got a deal on and which also has a large and open living area that we can ﬁt several into for a Bible Study, or for fellowship. Also, we have a door that is open to us in the way of a place to meet. There will be more to come on that, but I’ll tell you that it is in one of the busiest places in the entire West End. Please pray that God will now begin to connect us to souls to teach Bible Studies to and that we may see a harvest in this our City. We believe God has awesome and powerful things in store. Thank you for partnering with us as we partner with Him. We love you all! is passionate and in love with the Lord! Many great men and women have sown into this young man’s life, David Guca, over the past few months and even years. The seeds they have planted. Seeds of prayer. Seeds of friendship. Seeds of love. And seeds of commitment where definitely not in vain! The season of reaping is now! salvation those people which we have been praying, fasting, and believe for. I speak by faith. David Guca will receive the gift of the Holy Ghost with the evidence of speaking in other tongues! There is already a seed that is beginning to birth and grow, and will soon become that gift of the Holy Ghost. Aside from the great news that David was baptized and will be receiving the Holy Ghost. He is now already in his second week of a 12 week home bible study, Exploring God’s Word! This is so encouraging and inspiring for not only those who have planted these seeds in his life years before, but it is also an encouragement and a testimony for the rest of his family. I want to encourage those of you who have been sowing seeds in the lives of your lost loved ones and friends. It is not in vain! God is not mocked. You will reap what you have sown! In due season you will reap a bountiful harvest! Keep sowing and believing. Among the many wonderful things that God is doing in Mexico, we've had four Catholic priests baptized in the Name of Jesus in the last couple of years. Two of them were Bishops in the Catholic Church. Pictured below are: Rev Martín González, Vice President of the UPC of Mexico (he has baptized two of the ex-priests); ex-catholic Bishop Ernesto Blanco (baptized in early May 2011, recently), ex-catholic Bishop Roberto Piñeiro (baptized in October 2010), and Brother T.W.Drost. Each one of these ex-priests is becoming a powerful testimony, traveling to different churches to give their testimony. Many are being baptized and filled with the HG in their services. All four of them have not only been baptized in Jesus' Name, but all of them have also received the baptism of the Holy Ghost. Recently (two weeks ago), we had Brother Piñeiro preaching and giving his testimony in the local church that I pastor in Mexico City and, that Sunday, there were 15 baptized and 13 received the Holy Spirit. When they preach at a church, they start speaking dressed as a priest and, as they give their testimony, they progressively take their robes off-explaining what the various pieces represent. They end up putting a suit coat on, saying that now they don't need those robes for they are free and today they are Ministers of the true and genuine Gospel! In fact, they have become passionate about the One-God message and baptism in Jesus' Name! Brother Ramón Casillas, who was the first ex-priest to be baptized, in March of 2009, is a Licensed Minister with the UPC of Mexico. He started a church in the center of the city of Zamora, Michoacán, and is doing VERY well, running over 100 in their regular services. He also started a Christian Re-Hab Center for alcoholics and drug addicts. He presently has 37 men and young men, ex-alcoholics and druggies-some of them picked up from the very streets of Zamora. Brother Casillas is doing a tremendous job with these. I was recently visiting him and was VERY impressed. Pictured above: Brother Ramón Casillas leading the service in the Church he started in Zamora. Pictured below: The group of ex-alcoholics and drug addicts doing a drama presentation in the service. Very impressive! If someone feels lead to help in Brother Ramón Casillas' ministry and efforts to reach the hopeless, please contact us. The UPC of Mexico has its National Convention every two years, with Zonal (Regional) Conventions during the alternate years. This year our National Convention 2011 will be in the Sports Palace (Palacio De Los Deportes) in Mexico City, July 29-31, 2011. We will have over 15,000 in attendance, and our goal is to see over 1,500 receive the baptism of the Holy Spirit. Yes, we can and will! Why not plan to come and be part of revival? Check us out at: www.ipumex.net. Please pray for continued revival in Mexico! My wife and I feel very privileged to work with the Africa Region. This is an especially busy time for us as we travel from one area of this huge continent to the other. From the end of May through June 26th, we participate in three sub-regional conferences. The first one was last week in South Africa for the South/Central Sub region. The other two are coming up in this month: June 13-17 in Nairobi, Kenya for East Africa and June 20-24 in Accra, Ghana for West Africa. 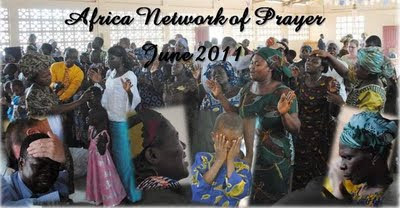 Pray for the national churches in these three sub regions of Africa. They are gathering together their Africa Regional Missions offerings that supports our Africa Regional Missionaries. We presently have two families under appointment and very much need to reach out to other countries that do not have a UPCI voice. That requires everyone doing what he or she can and working together. Pray for our Regional Missionaries, Bro. & Sis. Peter Mua in Equatorial Guinea. Pray for our Regional Missionaries, Brother Gistophe and Sister Clarisse in Congo. Pray for Regional Missionary Cezar Moraes and his family from Brazil who work with the church in Mozambique. Bro. Vagner Moraes and his wife are also working with his parents. Congratulations to Bro. Vagner and Sis. Teresa on the birth of their first child-a beautiful baby girl born in May. The recent sub regional conference for South/Central Africa was great. The conference was held near Johannesburg, South Africa. There were seventy to seventy-five leaders present from nine countries in the sub region. Much was accomplished in planning the fulfillment of the Africa Region Vision. We are committed to establishing a United Pentecostal Church in every nation and to see the continued growth of each of them. Pastor David Wright, Annapolis, MD, USA blessed the leaders with his anointed preaching. Bro. Nick Sisco, GATS coordinator for the Africa Region, was also present for the entire sub regional conference. He did an outstanding job of presenting the GATS program and explaining its benefits. This will bless every country of Africa and in this sub-region almost every country is already a member nation. The others are in the process. He was able to spend time with leadership from each country to answer questions and to help them to better understand how they can improve their Bible Schools and align it with the Global Association of Theological Studies. 24-26 June SOUTH AFRICA Central District Youth Conf. The city has not yet completely calmed down. Hundreds of students have been protesting, and police were out in the streets of downtown shooting guns. No one was injured or killed, but we need the peace of God to rest upon Burkina Faso. 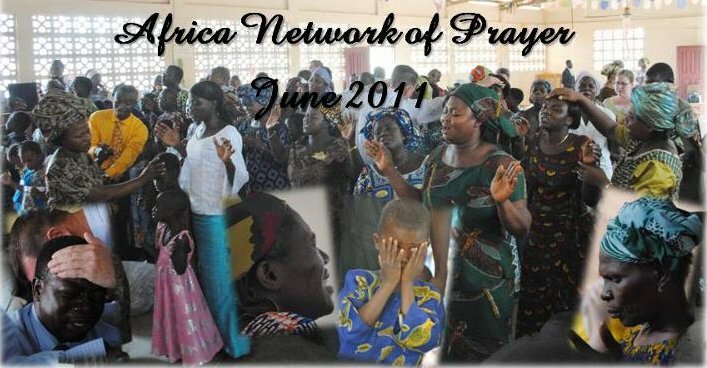 On June 3rd, a special day of prayer and fasting is being set aside for God to guide us and provide the best property for Bible school/Head Quarters in Bujumbura. We will appreciate all the prayers that are offered to the Lord for this important decision and purchase. We are busy making preparations for AYC's upcoming visit to Malawi on June 18-26. We are praying for a week of impartation between the youth of America and the youth of Malawi. Pray for their safe arrival, as well as several important services they will be apart of. We are excited about the church that has been built in Benin City. The dedication of this is June 5th. 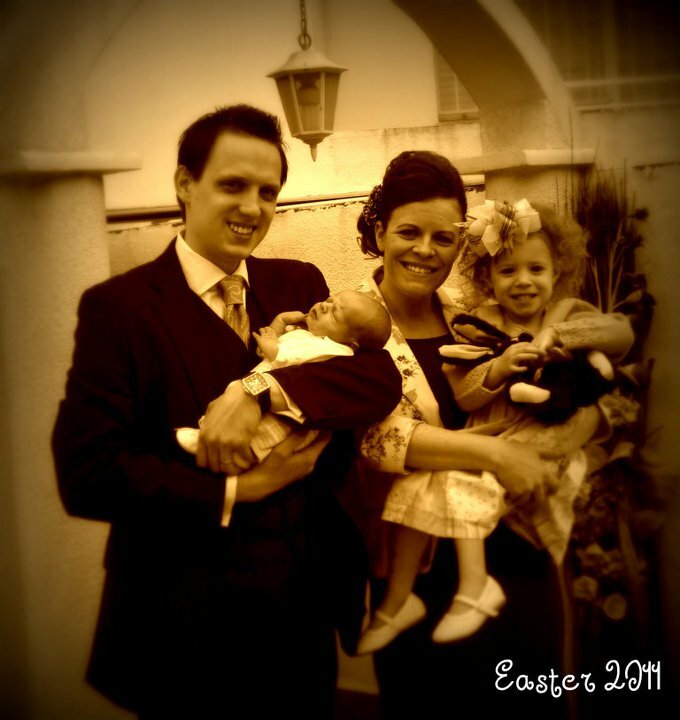 Missionary Sim Strickland (Greece) will be in attendance as this is a church plant from a convert he made in Greece. Also, June 9-12 will be a non-demoninational prayer conference and crusade in Enugu. Missionary Gerry McLean has been asked to speak to ministers in the day sessions and also to preach one of the evening services. Pray that God will use him in a special way. Regional youth conferences will be held throughout the country during the school break in June. Pray for the young people of Tanzania. Several pastors we have been in contact with have shown interest in working with us. We have begun to baptize and to focus especially on doctrinal training. Eight were baptized in Banga Bakandu. Seven received the Holy Ghost in Mile 16 town. Three received the Holy Ghost in Buea Town. We give praise to the Lord Jesus for the 27 preachers and church workers who attended a recent three-day leadership seminar. All are excited to go forward! During the District Ladies Conference in Kasungu, 48 ladies received the Holy Ghost. Also in a village service, six received the Holy Ghost. The headquarters church has been over 100 in attendance each Sunday for a month. We have finally received a clear title on the church property in Dar es Salaam and construction has started. Thank you for your prayers. Recently, Missionary Gary Abernathy along with guest speakers, Rev. Jonathan Arneault (Gulf Breeze, FL) and David Geri (Pensacola, FL) traveled to a rural area, Lukwipa. We want to praise God for the seven (7) who received the Holy Ghost during that day of services! In a new work, ten (10) were baptized. In Cowdray Park, five (5) were baptized, and three (3) were baptized at Matopos Rd Church, Bulawayo during the month of May. Sis. Dorothy Edwards reports: We have started a Junior Club every Friday afternoon. On May 1st, we had over 80 children (ages 4 to 12 years old) just from this local neighborhood. We thank the Lord for this and pray this will increase as time goes by.